The World Bank says it will provide more than US$17 million towards the development of a geothermal plant for Dominica. The bank’s Operations Officer, Karlene Francis, speaking at the launch of the Climate Resilience Execution Agency for Dominica (CREAD) on Friday, said the Washington-based financial institution is committed to assisting the hurricane battered island in its drive to promote the use of renewable and resilient energy. Dominica has already announced plans to establish a seven megawatt geothermal plant that is estimated to cost US$40 million. 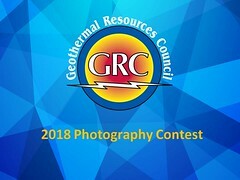 “The bank is also working with the Dominica Geothermal Development Company to prepare a geothermal risk mitigation project,” she said, adding it will support the development of a seven megawatt geothermal power plant that will displace diesel generation and reduce electricity costs in the country.